Tulaniu-o-Atua Kostas is the Board Chairman of Bank of South Pacific (B.S.P.) and Owner of the Lamana Group. The Group owns Taumeasina Island Resort. 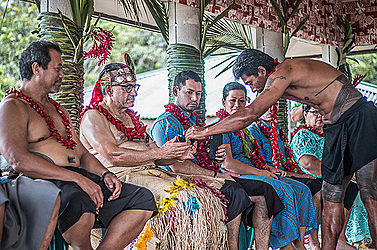 The intricate ceremony, which was held in the village of Lepa yesterday, was led by Prime Minister Tuilaepa Dr. Sa’ilele Malielegaoi. Sir Kostas was accompanied by his family and was presented to the village by Paramount Chief of Lepa, Auelua Samuelu Enari. Tuilaepa, who holds the Fatialofa, a Paramount title of Lepa, did the honors of blessing the bestowal of title of Tulaniu-o-Atua. “The Tulaniu-o-Atua is the salutation of Paramount titles Auelua and Fatialofa. “A leader can be successful in many business ventures; but when one is not compassionate, all those achievements are meaningless. “Tulaniu-o-Atua, there is a new major development that I anticipate, you should consider the expanding of the hotel (Taumeasina Island Resort) to accommodate world leaders and delegates for two major meetings, with the E.U. and the African, Caribbean and Pacific Group of States in 2019 and 2020,” said the Prime Minister. “Samoa on behalf of the Pacific has offered to hosts these two major meetings to be held at Taumeasina if by then, the hotel is expanded. “Hence leasing that parcel to your company, is to afford the opportunity of local employment. 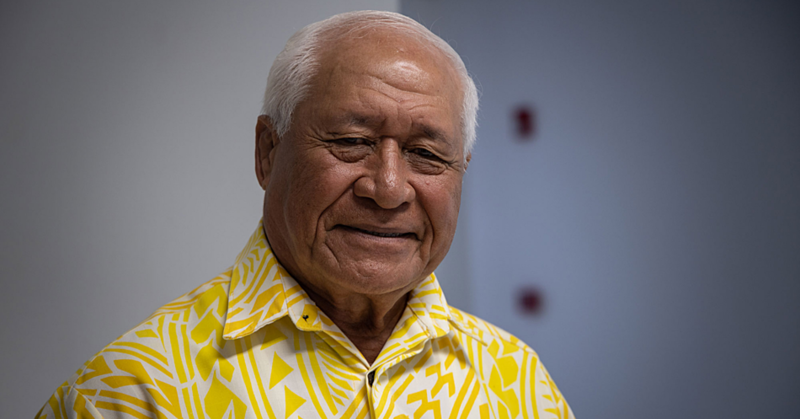 “In 2022, Samoa’s milestone in reaching 60 years of Independence furthermore, Samoa will host another significant meeting of Pacific leaders for the first time and it is my hope that you consider the plea to extend the hotel,” said Tuilaepa. Tulaniu-o-Atua Kostas thanked Lepa, Auelua Samuelu, for the bestowing of the chiefly title and assured the Prime Minister of his commitment to continue investing in Samoa. “My commitment to Samoa, Mr. Prime Minister is confirmed when I initially came here seven years ago to develop my project. “I keep my commitment that we will invest more in Samoa, and bring here oil and gas money as much as we can, to create many jobs for the people of Samoa. 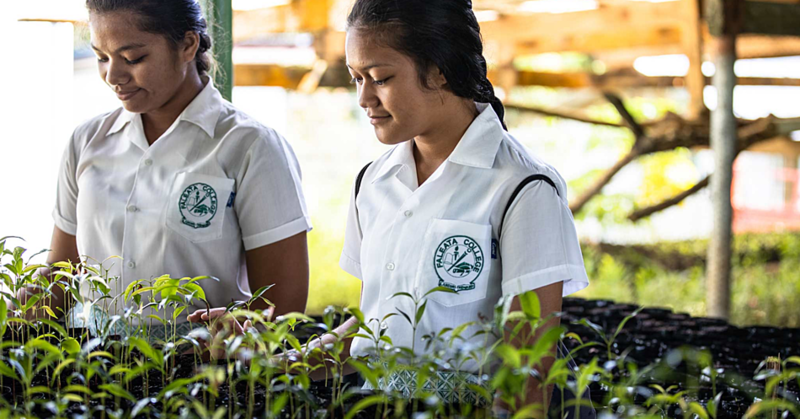 “I have been advised by Auelua that Lepa has a community project which I would like to get involved with. However, on this special day, thank you,” said Tulaniu-o-Atua Kostas. 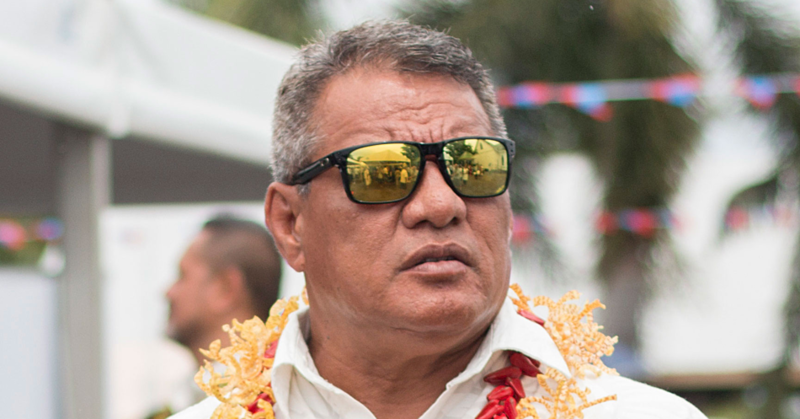 Tulaniu-o-Atua Kostas been the Chairman of Bank of South Pacific Limited since February 2011 and a non-executive director of the bank since April 2009. His family owns a number of hotels in PNG, Solomon Islands, Fiji and Samoa, the Lamana Group, and is a director of various PNG companies, on top of being the Honorary Consul for Greece in Papua New Guinea and Trade Commissioner of Solomon Islands to Papua New Guinea.